Only one uncle to cherish and love. Hundreds and hundreds of mountains and seas. Robins and butterflies, bees in the clover. But only one uncle to cherish and love. The poem, Only One Uncle, is free and printable by opening or downloading using one of the three links below. 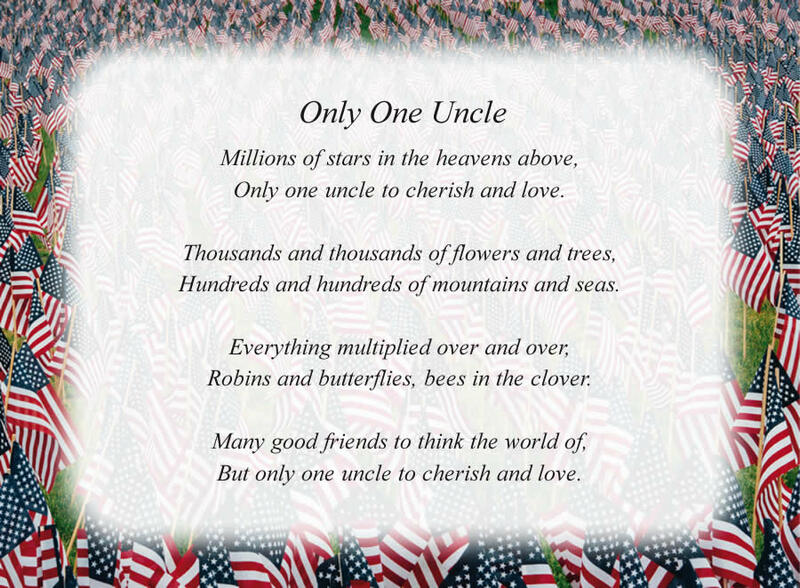 One link is for the poem with the American Flags background as shown above. The second is for the poem with a plain white background. The third link is for the American Flags background without the poem, in case you would like to print a different poem on this background. For help with printing your poem, please see Printing Tips.